Seventy-four years ago to this day, on February 8, 1944, four young Indian pilots were involved in a dogfight with Japanese fighters over Burma. 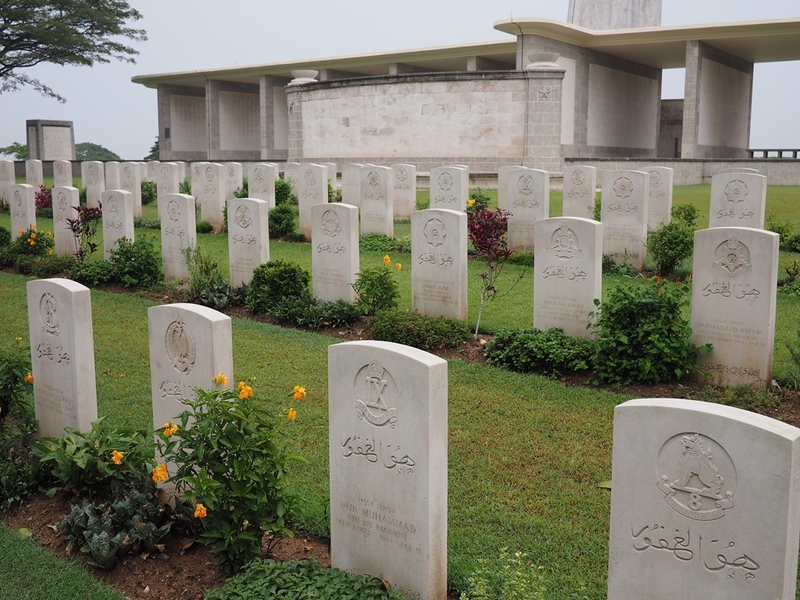 The day did not end well for the Indians, as two of the four were shot down and killed. But it may have been the first occasion during World War II, when an Indian pilot shot down an enemy aircraft in air-to-air combat. The four Indian pilots were Flying Officer Jagdish Chandra Verma, 25; Flying Officer Murkot Ramunny, 28; Flying Officer Dodla Ranga Reddy, 23; and Flying Officer Joseph Charles de Lima, 27. 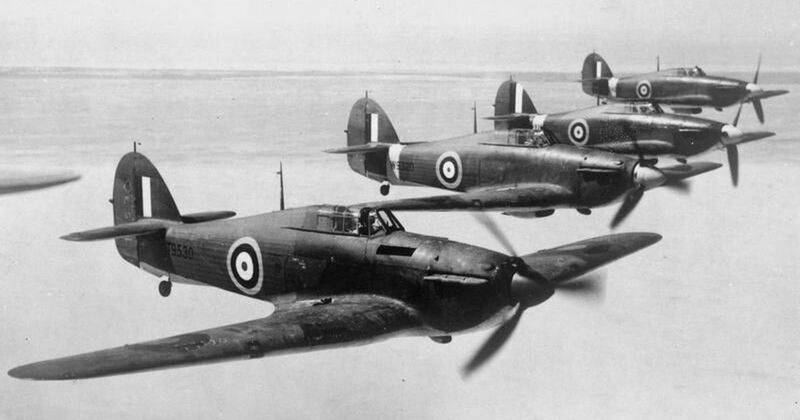 They belonged to No 6 Squadron of the Indian Air Force, which was flying Hawker Hurricane fighters. Deployed to Cox’s Bazaar – which is now in Bangladesh but at the time marked the frontier between colonial-era India and Burma – a few weeks earlier, in December 1943, the squadron had moved to a forward airstrip called Ratnap on February 4. The squadron was flying intensively, as the Japanese had launched a major attack on February 1, and they were the only reconnaissance-capable squadron on the Arakan front (now Rakhine State in modern-day Myanmar), the site of some of the fiercest fighting between Japan and the Allies. Flying Officer Dodla Ranga Reddy. Photo courtesy: Bharat-Rakshak.com. 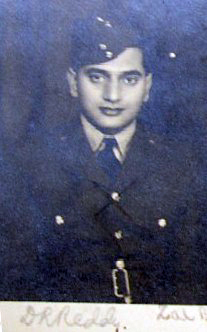 Flying Officer Jagdish Chandra Varma. Photo courtesy: Bharat-Rakshak.com. The squadron had already lost two pilots in previous weeks, and on February 8, 1944, it saw some of the most intense air combat over the Arakan. Both the Royal Air Force and the United States Army Air Forces had sent transport aircraft to try, for the first time, to drop supplies by parachute to a large body of Allied troops who had been surrounded and isolated by the Japanese. Japanese fighters had broken up the transport formations and shot down some escorting Allied fighters. On the morning of February 8, the four Indian pilots were tasked to attack Japanese positions at Taung Bazar, a small town en route to the frontier between colonial-era India and Burma. The squadron’s Operations Record Book for this date says, baldly: “Taung Bazar area – Dropping and contact/R - ... East of Taung Bazar. Duty not carried out. Jumped by 0s.” And against the names of Reddy and de Lima: “Failed to return. Missing presumed shot down by 0s.” The “0s” or “Zeros” in the entries were a reference to the famous Mitsubishi A6M Navy Type 0 Japanese fighter, which in its time was as iconic a fighter to the Japanese as the Spitfire was to the British. The squadron’s Operations Record Book. Image courtesy: Jagan Pillarisetti. Flying Officer Murkot Ramunny. Image credit: M Ramunny. Author provided. In 2006, this author met Wing Commander Ramunny at his home, just outside the coastal town of Thalassery in Kerala. Over the course of two days, Ramunny described vividly, and in greater detail than in his book, a swirling dogfight: “Reddy was shouting all the time, ‘Jap on your tail, Jap on your tail.’” A classic tail-chase developed, with Ramunny being chased by a Japanese fighter, which was being pursued by Reddy, as another Japanese fighter stalked Reddy. Turning and jinking hard, to avoid being shot down, Ramunny glimpsed Reddy shooting down the Japanese fighter on his (Ramunny’s) tail. But almost immediately, the second Japanese fighter’s guns found their target. Flying Officer Dodla Ranga Reddy’s aircraft started to stream smoke, lose airspeed and height, and with little margin at the treetop levels at which they were flying, crashed into the impenetrable jungle below. Ramunny, at the age of about 90, talking about Flying Officer Reddy. Flying Officer de Lima survived the whirling dogfight, but was shot down later, possibly by ground fire, when he climbed out of ground cover to cross the Arakan Hills on his way back to his base at Ratnap. This was a frequent sting in the tail of return trips from the Arakan, which claimed many other pilots as well, during the campaign. Flying Officers Varma and Ramunny – the two survivors of the formation – had to fly “miles and miles” up the valley before they felt it safe to climb and cross the hills. 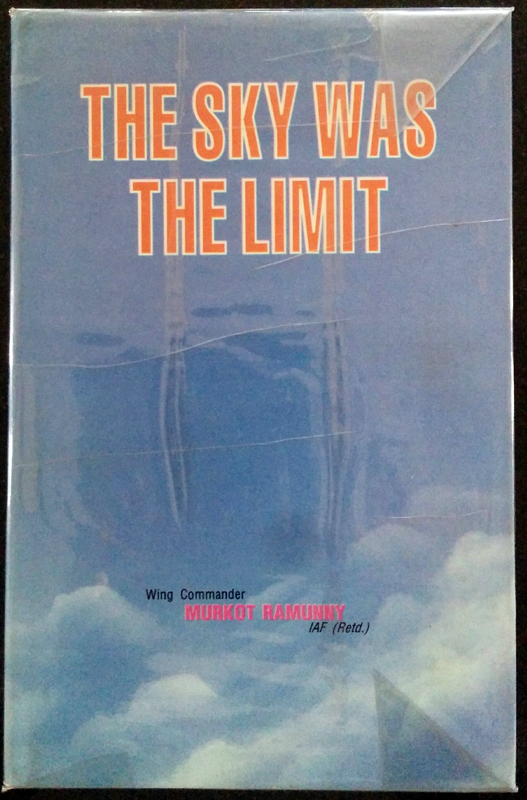 The cover of Ramunny's book 'The Sky Was the Limit'. Reddy’s victory over one of the attacking fighters is not currently recognised in Allied official records. Conditions in Burma were such as to make it very difficult to confirm air-to-air kills, particularly by the Indian Air Force: the ground observer network was sparse; IAF aircraft often flew without film in their gun cameras (because of shortage of film); and in this case, the victor was himself killed. But for what it is worth, Ramunny was clear, definite and positive in his recollection. Reddy’s victory, saving a squadron-mate’s life at the cost of his own, remains one of thousands of unrecognised wartime acts of heroism and selflessness. CWGC records say that de Lima hailed from Bandra in Mumbai and was a graduate of Bombay University. Reddy hailed from Buchireddypalem in Nellore district. Around 2004, a British researcher tracked down copies of a poignant letter written by Reddy to his mother while still under training, as well as of his flying licence. The letter is positive in tone, nothing remotely like the laments in many letters from Indian servicemen to their families which have been published in recent years. Reddy’s letter tells of money sent home, reassures his family, and exults in the challenges he is confronting and overcoming. Exactly one week after the dogfight described above, Flying Officer Verma was involved in another dogfight in the same area, and this time he emerged victorious. 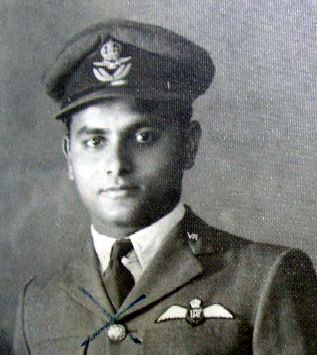 He is officially recognised as the first Indian Air Force pilot to score an air-to-air victory during World War II, and was decorated with the Distinguished Flying Cross. He went on to distinction in the Indian Air Force, commanding his old squadron just before Independence, becoming Station Commander of Air Force Station Kalaikunda in the early 1960s, and rising to the rank of Air Commodore at a time when only a handful of Indians held that rank. He died in 1975, with a record of accomplishments that are in no way to be belittled. Ramunny became a Wing Commander by the age of around 30, and was the first Chief Instructor at the Joint Services Wing, the predecessor of the modern National Defence Academy. Soon after Independence, he was one of a handful of service officers handpicked for key roles in the infant Indian Civil Service, where he served with distinction at levels up to Cabinet. He passed away in 2009. The Indian Army’s contributions to the Allied victory in World War II are no longer doubted (except possibly by a tiny minority in the European and North American right-wing). The Indian Air Force’s and Indian Navy’s contributions were numerically far smaller, but they still represent the sacrifice of some of our finest young people. 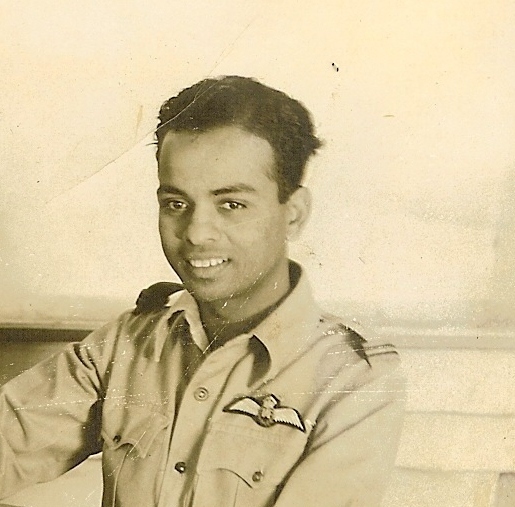 To the end of his life, Wing Commander Ramunny continued to quietly insist, with full respect to his squadron-mate “Bandy” Verma, that Flying Officer Dodla Ranga Reddy had shot down a Japanese Oscar a week before Flying Officer Varma. It does not really matter, at this stage. Aircraft shoot-downs, while iconic and celebrated, are not actually the best measure of air power. 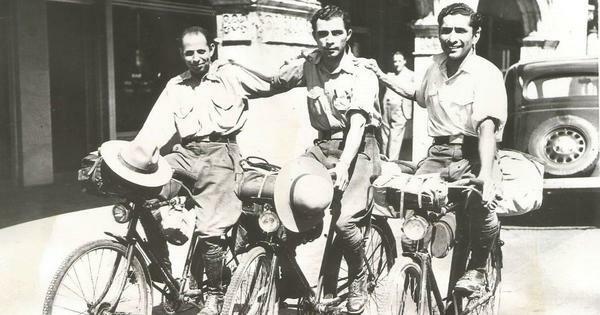 All participants in this combat are no more, and World War II is in danger of being forgotten in India, the country that provided the largest number of volunteers for the war. National alignments have changed, with India and Japan now both democracies and part of the Quadrilateral Alliance. But this story remains one of four young Indian men who threw themselves into one of the riskiest forms of warfare of the time. Its seventy-fourth anniversary is a good time to remember it.